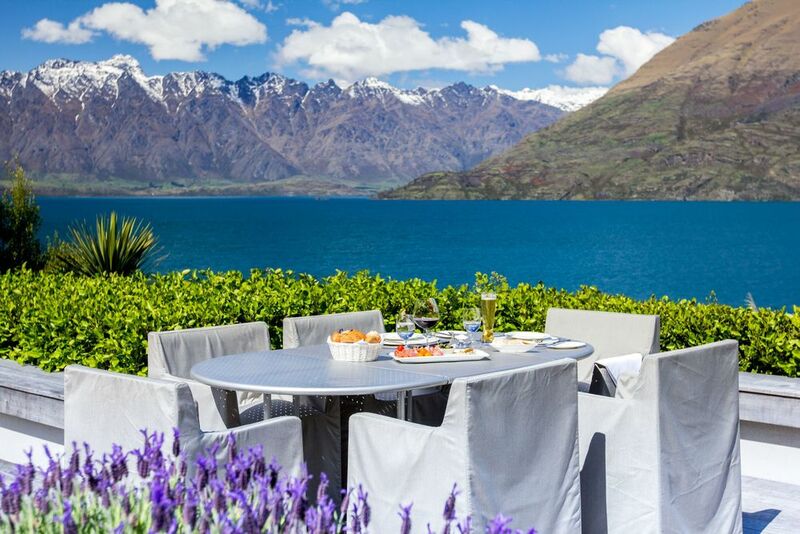 Spectacularly located on Lake Wakatipu you'll find Matakauri Lodge, set in one of the world's most serenely beautiful landscapes with stunning views from every angle of the Remarkable, Cecil, and Walter Peak mountain ranges. New Zealand is often referenced as the adventure capital of the world, and it's easy to see why. With towering mountain peaks dotted with glaciers to wild coastlines and fertile fields with sheep galore, this is a true hub for the active traveler. Matakauri Lodge delivers you into the thick of it. The location itself–on the shore of an alpine lake–sets the perfect scene. With eleven luxurious guest suites, eight outlying cottages, and three suites located in the main lodge, Matakauri is perfect for groups of any size. No matter which room you prefer, you'll get to kick back on your own private porch or in front of an open fireplace after a full day outside. Paraglide, skydive, bungee jump, river raft, or go canyoneering. Prefer old-fashioned adventure? Kayaking, hiking, and biking are all excellent options as well. A lakeside alpine retreat constructed with a contemporary New Zealand design. "ONE OF THE FIRST THINGS TO GREET GUESTS IS THE VIEW. THERE’S NO GETTING AWAY FROM HOW BEAUTIFUL IT IS."